Thank you Village Harvest for sponsoring this post. 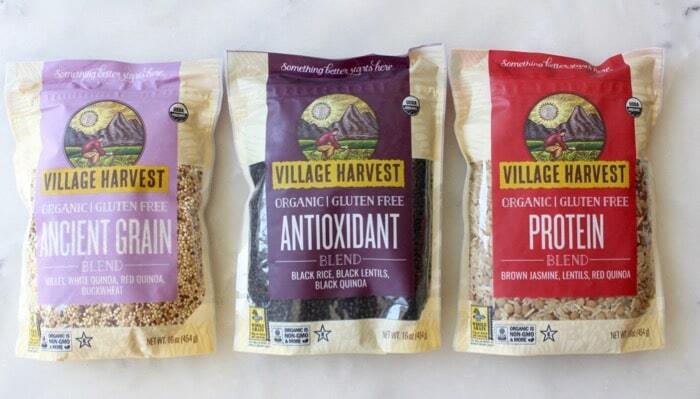 Every day Village Harvest is planting seeds of change and growing possibilities, one bag of goodness at a time. Something Better Starts Here! A tasty, easy and light quinoa lentil salad perfect for summer, loaded with nutrition and full of fresh flavors. Really lovely served warm or as a cold vegan dish with marinated roasted peppers on top or with fresh tomatoes, feta and dill. Adding some goat cheese would really give it something special in my humble opinion. Pretty much anything in season this time of year would be nice piled up on top of this goodness and sprinkled with a bunch of fresh herbs. 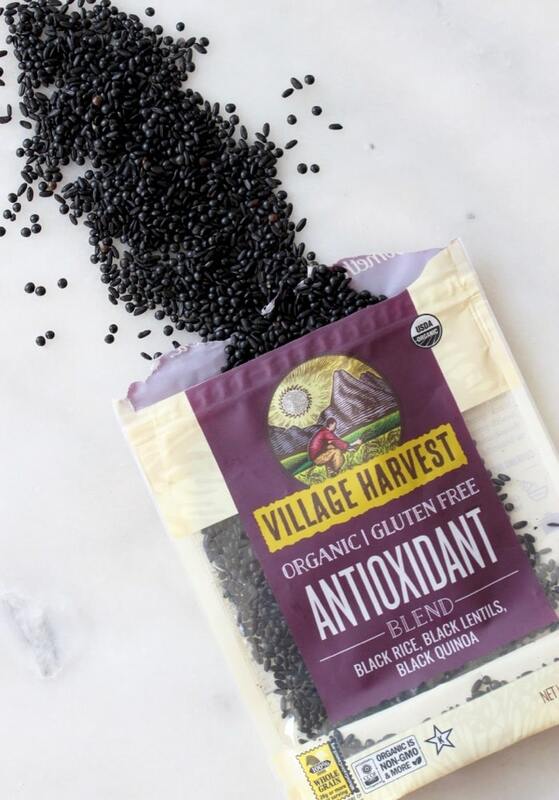 I used one of my new favorite things here, the Antioxidant blend from Village Harvest. 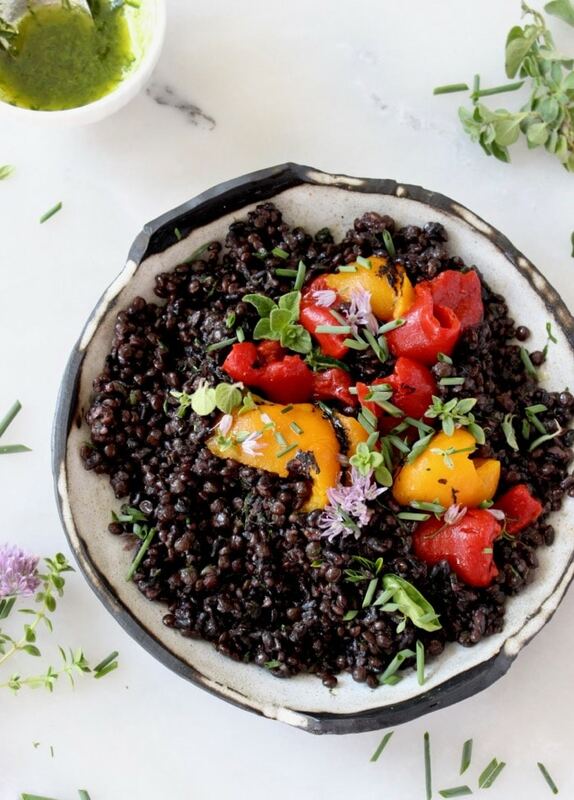 It contains organic black lentils, quinoa and heirloom black rice. Gluten free, protein packed and everything is done in less than half an hour. Because my containers are bursting with sweet onion chives, I buzzed up a delicate chive vinaigrette to toss with the lentil salad. You can make it a lemon vinaigrette or use a red wine vinegar instead. Whatever rocks your taste buds. Experiment with the ratio and see what works for you. If you are looking for some lunches to go ideas and even airplane food, this quinoa lentil salad fits the bill from both a tasty and nutrition standpoint. Hope you give it a go soon. 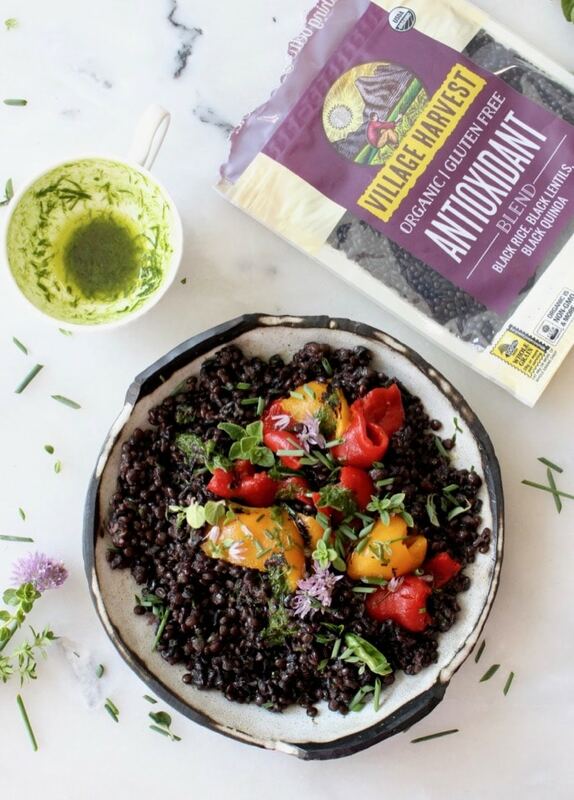 I love Village Harvest products because they are more than just rice, they are about discovering new possibilities at home in the kitchen, or thousands of miles away in the fields. 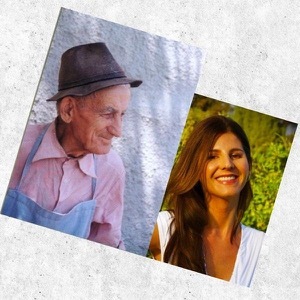 Disclosure:I was selected for this opportunity as a member of CLEVER and the content and opinions expressed here are all my own. 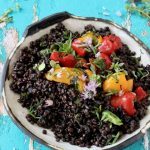 A tasty, easy and light quinoa lentil salad perfect for summer, loaded with nutrition and full of fresh flavors. 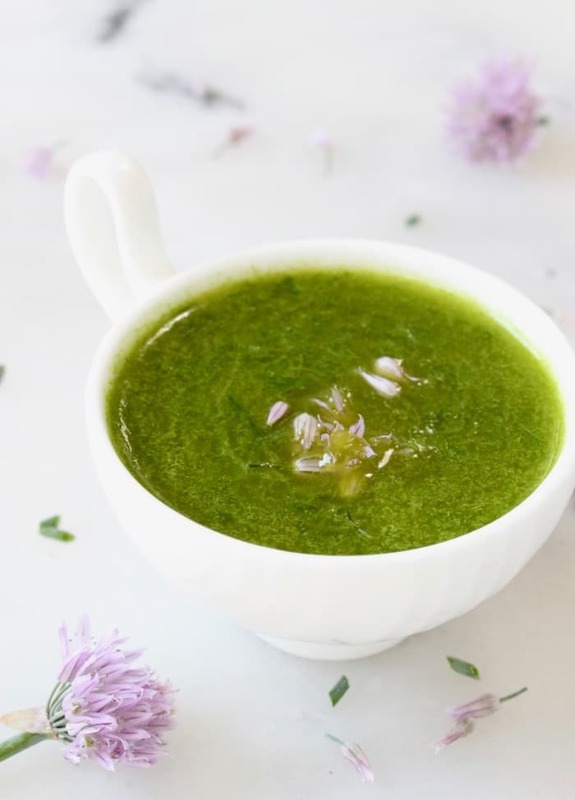 Add the chives, olive oil and lemon juice or red wine vinegar ( whatever you prefer) to the bowl of a food processor or blender. Process until smooth and transfer to a small bowl. Season to your taste with sea salt and add more lemon or vinegar if desired. Add the lentil, rice and quinoa mix to a medium pot together with the bay leaf and a pinch of sea salt. Cover with the water and bring to a simmer. Cover with a lid, turn the flame to medium low and cook for 25 to 30 minutes until all water it absorbed. Turn off the heat and allow it to sit covered tightly for 15 minutes. Transfer the lentil mix to a mixing bowl ( discard bay leaf) and fluff with a fork. Pour the chive dressing on top and toss to combine. Taste and adjust seasoning to your taste with more lemon and sea salt. 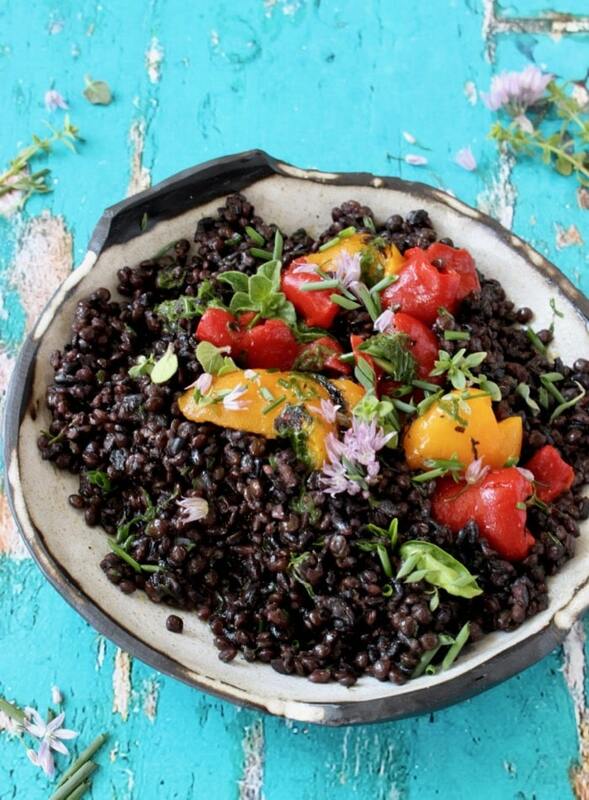 Serve with marinated roasted peppers and fresh herbs on top and plenty of lemon wedges.